It’s Tuesday, so you know what that means—it’s time to talk shoes. Today’s topic? The best summer flats under $50. To enable (and honor) our love for footwear, we’ve dedicated a weekly post to highlight and share our must-have picks! Be sure to come back every Tuesday to check out the week’s featured style and shop the shoes sure to keep your wardrobe fresh and covetable. Update your summer shoe selection with our favorite budget-friendly flats. 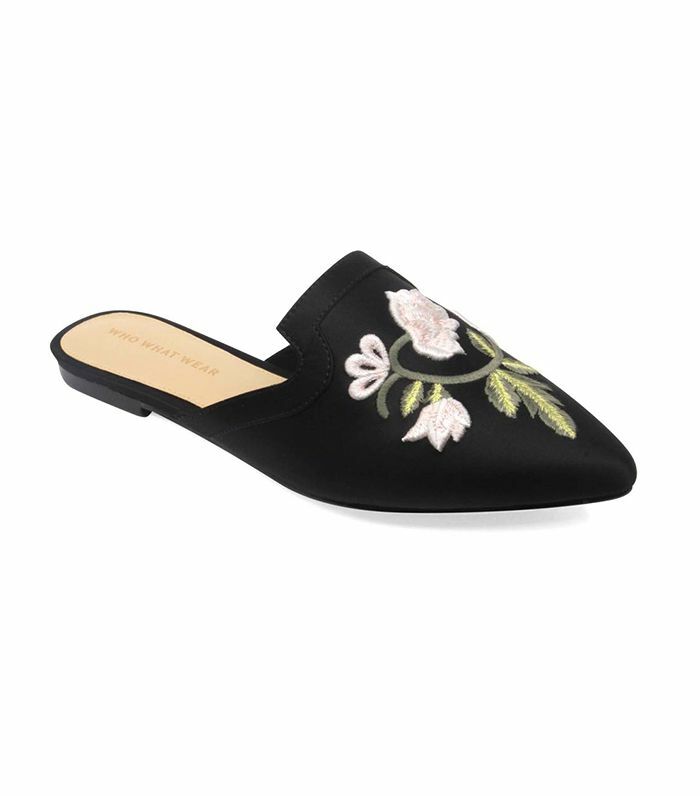 From the chicest embroidered slides from our Target collection to Zara's baby-blue slip-ons that are sure to sell out, these are the under-$50 flats on our radar right now. Keep reading to add the affordable finds to your wardrobe. We love this feminine pick to add to any outfit, casual or going-out. Statement shoes for any occasion. Add these textured slides to elevate any look. Enjoy the last months of summer by pairing this bright pick with a flowy, floral minidress. Do you own a pair of chic pool slides yet? These affordable slides are perfect to pair with vintage-inspired jeans and classic jewelry. How are you styling flats this summer? Show us using #WhoWhatWearing on IG.